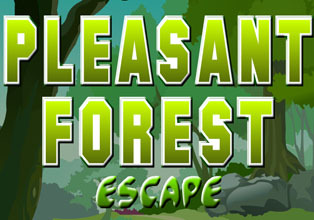 MouseCity - Pleasant Forest Escape is another point and click escape game developed by Mouse City. In this forest, a stranger trapped inside. There are some clues, puzzles, and objects left. Find those objects and hints. Solve the puzzles and help the stranger to escape out. Good luck and have fun! You need 4 sticks Lilly, and then join them all together. But I cant do anything with that! Sue - that's exactly what i have. i suppose it has something to do with the hole in the tree. and what to do with blue flowers? Missing the ant and the square wooden shape for the chest. Games are good but the ads are slimy and nasty!!!! Where is the third blue flower? nvm...found it in second scene right under the right direction arrow - very small. Very enjoyable game. I don't see slimy, nasty ads, Joe M. I must have done something to not get them. I hope MC can fix that - I wouldn't want to play either if I saw slimy, nasty ads...jmho.